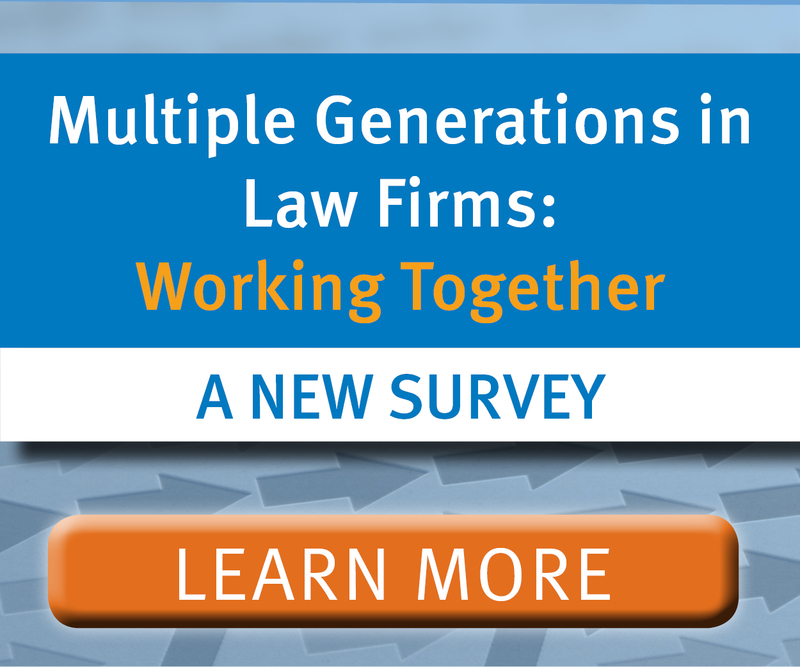 NALP has a longstanding commitment to be an advocate for diversity in the legal profession and in our membership. The Sexual Orientation and Gender Identity and Expression Section (formerly the LGBT Section) is for NALP members with an interest in issues concerning LGBT law students and lawyers, and law schools and legal employers. Brainstorm with Section membership to develop ideas and identify speakers for the 2016 Annual Education Conference as well as the 2016 Diversity & Inclusion Summit. Also, brainstorm about topics for Bulletin articles. Assist members through the completion of the RFP processes for both. Consider the use of NALP Connect, Bulletin Articles, and webinars, to educate members about current topics, particularly those dealing with gender identity and expression. Strive to develop conference program proposals that will be appealing to mid-career professionals (both on the career services side and the employer side) with 4-6 years of experience. Work with NALP’s liaison to the National LGBT Bar Association to facilitate NALP’s collaboration and participation in the NLGBTBA Annual Career Fair and Conference. Promote accurate reporting of SOGIE statistics across the legal profession. Continue to monitor NALP Form LGBT Data reporting in the NALP Directory of Legal Employers. Continue outreach to law school members and encourage collection and reporting of SOGIE student information in the NDLS. Monitor effects of including SOGIE status as part of the annual Law School Graduate Employment Report and Salary Survey (ERSS). Review data for employment and salary patterns. Create a resource guide for NALP members with websites, best practices and FAQs on gender identity and expression issues. Include, if possible, examples of gender transition policies, benefits, and resources for law schools counseling about and managing gender identity and expression issues. Deliver a webinar on gender identity and expression topics. Consider RFPs for Annual Conference or ideas for Diversity Summit on gender identity and expression topics. Brainstorm with Section membership to develop ideas and identify speakers for the 2015 Annual Education Conference as well as the Annual Diversity Summit. Also, brainstorm about topics for Bulletin articles. Assist members through the completion of the RFP processes for both. Consider the use of NALP Connect, Bulletin Articles, and webinars, to educate members about current topics, particularly those dealing with gender identity and expression. Strive to develop conference program proposals that will be appealing to mid-career professionals (both on the career services side and the employer side) with 4-6 years of experience. Vice Chair: TBD. Work with NALP’s liaison to the National LGBT Bar Association to facilitate NALP’s collaboration and participation in the NLGBTBA Annual Career Fair and Conference. Vice Chair: TBD. Promote accurate reporting of SOGIE statistics across legal profession. Compare last year’s outcomes of NALP Form LGBT Data reporting to the outcomes in the Directory of Legal Employers (employer compliance). Continue outreach to law school members and encourage collection and reporting of SOGIE student information in the NDLS. Monitor effects of including SOGIE status as part of the annual Law School Graduate Employment Report and Salary Survey (ERSS). Review data for employment and salary patterns. Vice Chair: TBD. Create a resource guide for NALP members with websites, best practices and FAQs on gender identity and expression issues. Include, if possible, examples of Gender Transition policies, benefits, and resources for law schools counseling dealing with gender identity and expression issues. Deliver a webinar on gender identity and expression topics. Consider RFPs for Annual Conference or ideas for Diversity Summit on gender identity and expression topics. Vice Chair: TBD. Promote accurate reporting of LGBT statistics across legal profession. Compare last year’s outcomes of NALP Form LGBT Data reporting to the outcomes in the Directory of Legal Employers (employer compliance). Continue outreach to law school members and encourage collection and reporting of LGBT student information in the NDLS. Create a resource guide for NALP members with websites, best practices and FAQs on transgender issues. Include, if possible, examples of Gender Transition policies, benefits, and resources for law schools counseling transgender students in their job searches. Work with the Diversity Section to incorporate resources on transgender issues into Best Practice Guides for Diversity. Deliver a webinar on transgender topics. Consider RFPs for Annual Conference or ideas for Diversity Summit on Transgender topics. Identify topical resources to supplement the website and the Group page on NALPconnect. 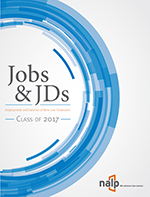 NALP proposes collecting LGBT status as part of the annual Law School Graduate Employment Report and Salary Survey (ERSS) in order to track LGBT employment and salary patterns. The Section is asked to conduct outreach with members (e.g. RRC etc) to discover if there is any reason not to make this change and collect LGBT status as part of ERSS. Promote accurate reporting of LGBT statistics across legal profession. Compare last year’s outcomes of NALP Form LGBT Data reporting to the outcomes in the Directory of Legal Employers (employer compliance). Continue outreach to law school members and encourage collection and reporting of LGBT student information (law school compliance) Vice Chairs: Tom Grewe, Bryan Cave LLP and Lori Lorenzo, University of Miami School of Law. Brainstorm with Section membership to develop ideas and identify speakers for the 2012 Annual Education Conference in Austin, Texas and topics for Bulletin articles. Assist members through the completion of the RFP processes for both. Work Group Leader: Christopher Teague, Suffolk University Law School. Work with NALP’s liaison to the National LGBT Law Association to facilitate NALP’s collaboration and participation in the NLGBTLA Annual Career Fair and Conference. Vice Chairs: Andrew Chapin, Fordham University Law School, Valerie Jackson, K&L Gates LLP and Erin Wright, Roger Williams School of Law. Promote accurate reporting of LGBT statistics across legal profession. Compare last year’s outcomes of NALP Form LGBT Data reporting to the outcomes in the Directory of Legal Employers (employer compliance). Continue outreach to law school members and encourage collection and reporting of LGBT student information (law school compliance) Vice Chairs: Andrew Chapin, Fordham University Law School (employer compliance) and Tom Schoenherr, Fordham University Law School (law school compliance). 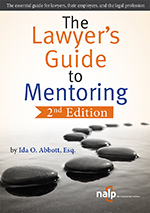 Continue expansion of mentorship program to foster the professional development of LGBT law students and recent law graduates; assist mentees in navigating unique issues that members of the LGBT community may confront during law school and at the beginning of their legal careers; and enhance the skills and career prospects of participants. Vice Chairs: Jeff Becherer, Benjamin N. Cardozo School of Law; Marc Goldfarb, University of Iowa College of Law. Review and update NALP’s website for LGBT content including links to national and local bar associations for LGBT attorneys and law students. Vice Chair: Shawn McKenna, University of North Carolina School of Law.